Iweblogsite - We are back! Today I'm gonna tell you about indonesian foods list This is the Strangest Indonesian Foods You Should Try at Home. Who like food and eat? Yeah, every one like it. And Indonesia is the most exotic food destination ever. Let's check these out! Food made from honeycomb or bee nest you can enjoy while traveling to some rural areas in East Java, Indonesia. You can test your guts in culinary by eating Manado typical food this one. Yups, this typical food is made from roasted rat meat as well as other consumption meat. Want to try? Rujak cingur has one basic ingredient that may be very strange in the ears of people outside Surabaya. The ingredient is a cingur or a cow's mouth. Typical of Gunung Kidul community is a food that is believed to have its own properties because has much protein. 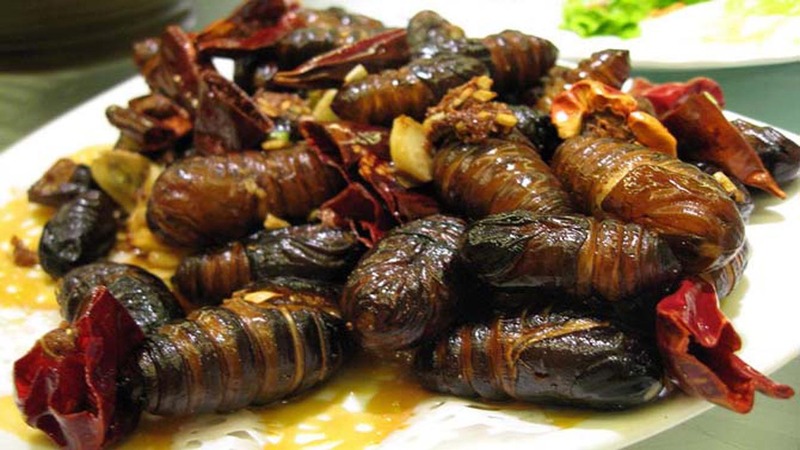 But, for you who do not like insects would be very difficult to eat this typical food. Sago caterpillars or Ulat Mulong is a special food of the people of Papua and West Nusa Tenggara are usually eaten raw. For them, this special food has certain benefits and good for our health of body because it has high protein. For you who lack protein can try it! Manado's people are happy to eat bat animals. This night animals are usually processed by baking, seasoned coconut milk, seasoning rica-rica, or made soup. Wanna try at home? That's all this post about The Strangest Indonesian Foods You Should Try at Home Hopefully you enjoy this.. Do not forget for the comments!